PB&J without the bread: An on the go snack packaging innovation. Ever wonder how you could eat a PB&J without bread…while riding a bicycle? 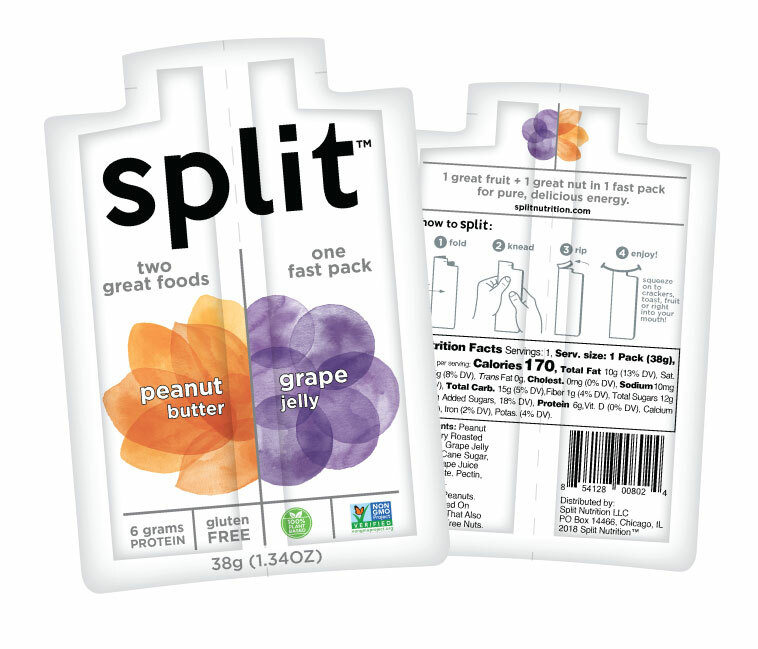 With Split Nutritions proprietary “fold, knead, rip, and enjoy” packaging design, you can do just that! On the go snack packaging is one of the fastest growing segments, and it’s getting harder and harder to get the consumers attention. Split Nutrition teamed up with PSG to develop their innovative packaging concept, to dispense a series of well known snack combinations. The results were amazing. Split offers a package, perforated down the center, to release two packets. One packet with a butter product (i.e. peanut butter or almond butter) and the other packet with a jelly product. (Or you can can get crazy and eat both at once…whoa!) A perfect boost of energy for “eat and run” cyclists, hikers, and kids looking for something quick to eat during snack time, without any mess. Great, it’s printed…now how do we pack it? The real challenge came with finding a packer to handle the filling and forming of the package. PSG was able to source a co-packer that offered a special machine to fill butter and jelly in the same room. (not a typical filling situation by any means) Often times when you’re dealing with a special machine, there will be a requirement for special film. No problem there. PSG was able to engineer a film that would accommodate the filling equipment, while keeping both barrier and shelf stability intact. We ran trials, tested it on the machines, and printed the project using our HD Flexo plate technology. 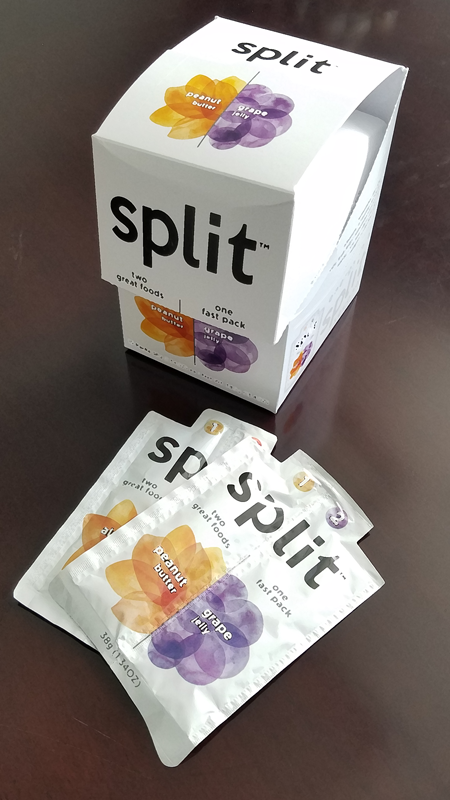 Split is continuing to grow, while expanding their flavor options with the introduction of almond and chocolate. They’re also developing this same on the go snack packaging format for baby food (Split Baby), kids snacks (Split Kids), and athletes (Split Sport). Stay up to date on all things Split here. It always fascinates us to see new customers come to PSG with a story, a vision, and a challenge that gives us an opportunity to create something new and innovative. Here’s to being a part of Splits continued success!